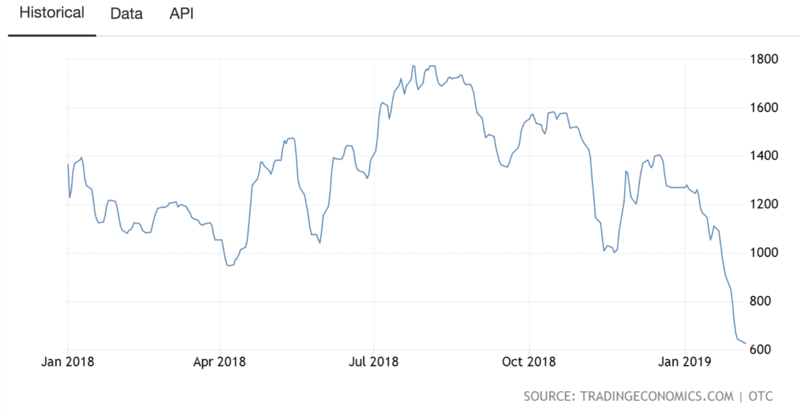 Hopes of a dry bulk recovery have diminished now that day rates for Kamsarmax and Supramax bulkcarriers have nosedived and declined with as much as 40% since October last year. That could lead to increased competition for multipurpose vessel operators. The Baltic Dry Index, a key indicator for the dry bulk market, has dropped by 50% since December 31st and now stands at 621 points. As a result, Kamsarmax and Supramax vessels have seen rates plummet, reports S&P Platts.’Time charter rates for a Kamsarmax, opening for a new employment in south China, to do a trip loaded with coal via Indonesia to east coast India averaged at $7,717/day in January, down 44.4% from October’s average of $13,881/day’, the analyst firm writes in a recent market update.On all routes Platts assessed Kamsarmax and Supramax rates have collapsed by 30% to 45% in January compared with last October. ‘It has been the perfect storm — uncertainties around Brexit, the US government shutdown, the US-China trade war, lack of grain demand in the Pacific, the drop in futures and stock market valuations — all of which have really affected the Pacific markets’, one ship operator tells Platts. 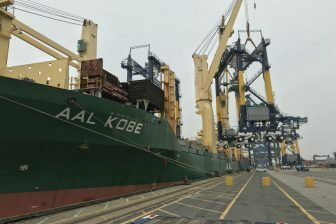 Some of the ship owners expect the rates to improve after the Lunar New Year holidays, but others many feel that the market is lacking the fundamentals to support any lift off on the freight levels. ‘Usually coal consumption increases in China post-Lunar New Year as industries get back to operating at a better run rate. 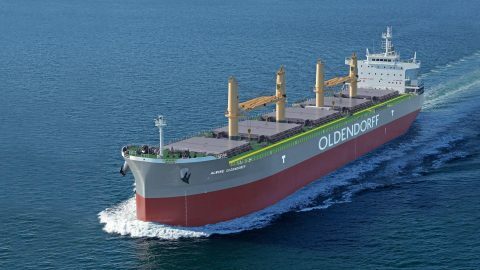 But given the decent amount of coal stocks available and the freight rates that we are currently at, it is difficult to see how much and how quickly the rates can improve’, another ship-operating source told the analysts. 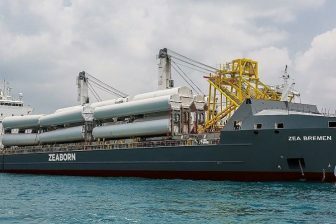 The new downturn in the dry bulk market could pose a threat to the recovery of the breakbulk market, as a downturn in the dry bulk or container sector usually leads to increased competition. The breakbulk market is expected to recover slowly this year. 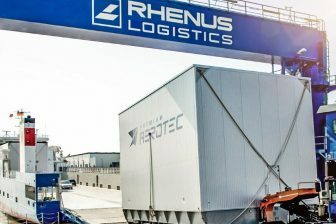 Susan Oatway, senior analyst for the MPV and Heavy Lift market at Drewry, recently told PCJ that global breakbulk demand is expected to grow with 1.5%, although the growth for the multipurpose and heavy lift market is only estimated at a half percent. That growth is at least partially supported by improvements of the container and dry bulk markets which has eased competition from these sectors. If dry bulk rates do not pick up after the Lunar New Year, that competition may well increase again.